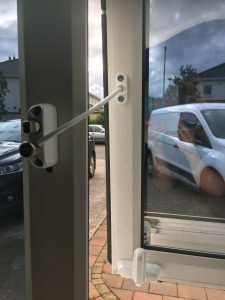 Window Restrictors are ideal for restricting the opening of a window for child safety or security. Burglar Deterrent: Window Restrictors are perfect for rooms that regularly require ventilation i.e Bathroom or Toilet. Burglar’s prefer houses that they can get in and out of as quickly as possible. Child Safety: The installation of a window restrictors prevents your windows from being opened widely. This means that your children are safe from climbing or falling out of your windows. Making them especially beneficial if you live in a multi-level house. Safely ventilate your home. They’re great during the summer and winter months. In summer you can let in cool air and in winter you can let in fresh air to help prevent mould build up. 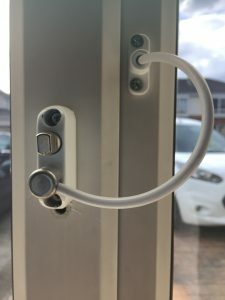 The window safety restrictor can be fitted to most window sections and all window materials including wooden or upvc windows. They are suitable for both inward and outward opening windows.